Join the Office of Diversity, Equity and Inclusion at Trans Ohio's 11th Annual Trans and Ally Symposium in Columbus. ODEI will be taking student managers from Unity House and the Crozier Center for Women to this conference to learn more about how to better support Kenyon's transgender and non-binary community. 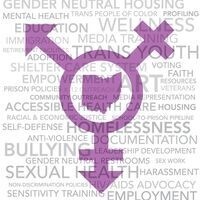 Information on the panels, workshops, and keynote speakers for this conference is available at www.transohio.org. For students who may require support for professional attire for the conference, the Student Support Fund can help. A limited amount of funding is also available for some student registrations. To express your interest or to learn more, contact the ODEI.